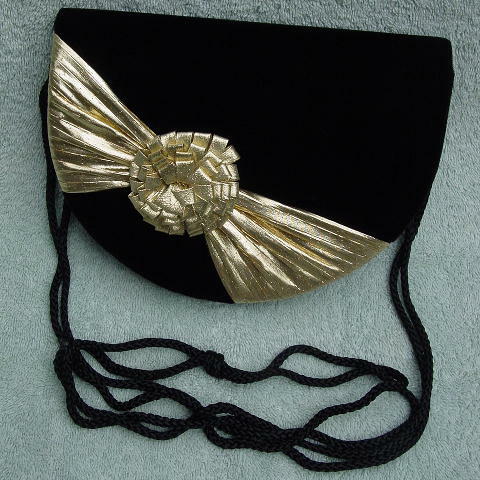 This never-used vintage black velvet evening purse has a full flap front with a magnetic closure hidden under the flap. It has a gold lame fabric design on its front side. There is a black fabric lining and an open back pocket. It has a black double woven cord 52" long shoulder strap. 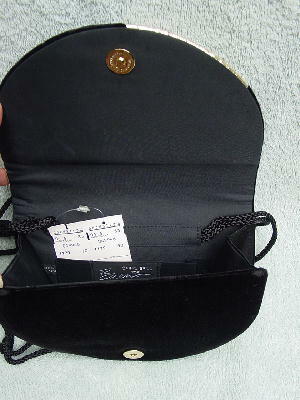 The very soft velvet purse was originally sold at Nordstrom and the store tag is still attached. It's from a former model's collection. She displayed it, but never used it.